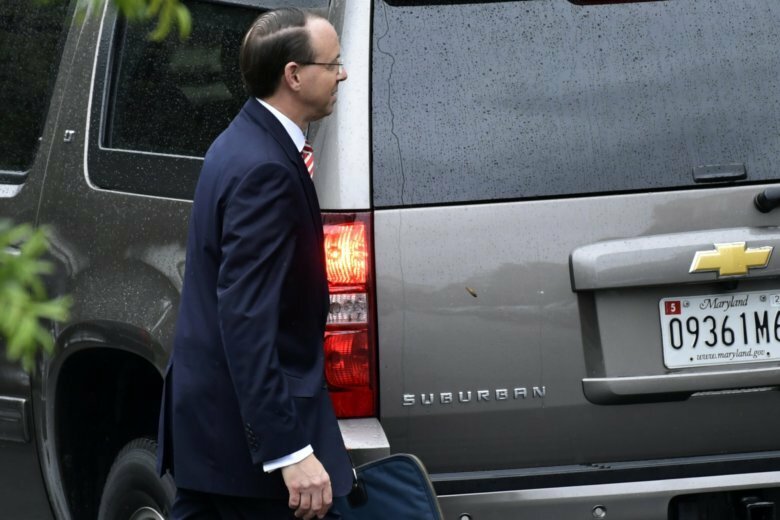 President Donald Trump gave Deputy Attorney General Rod Rosenstein a three-day reprieve pending their face-to-face White House showdown on Thursday. That's when the man who oversees the Trump-Russia investigation will respond to reports that he had discussed secretly recording the president and possibly using constitutional procedures to remove him from office. White House spokeswoman Sarah Huckabee Sanders said on ABC’s “Good Morning America” on Tuesday that Trump has “confidence in the system” but left unclear what would happen when the two men meet. Were Rosenstein to be forced out, Solicitor General Noel Francisco, the highest-ranking Senate-confirmed official below him in the Justice Department, would take control of the Mueller investigation. Under the chain of succession that’s been contemplated by the administration, Sessions chief of staff Matthew Whitaker would be in line to take over as deputy attorney general if Rosenstein departs.